Hello! I’m back! After a springtime of Charlotte’s Web touring shows, I’m here. I SURVIVED MY FIRST THEATER GIG. Can you believe it? Neither can I. 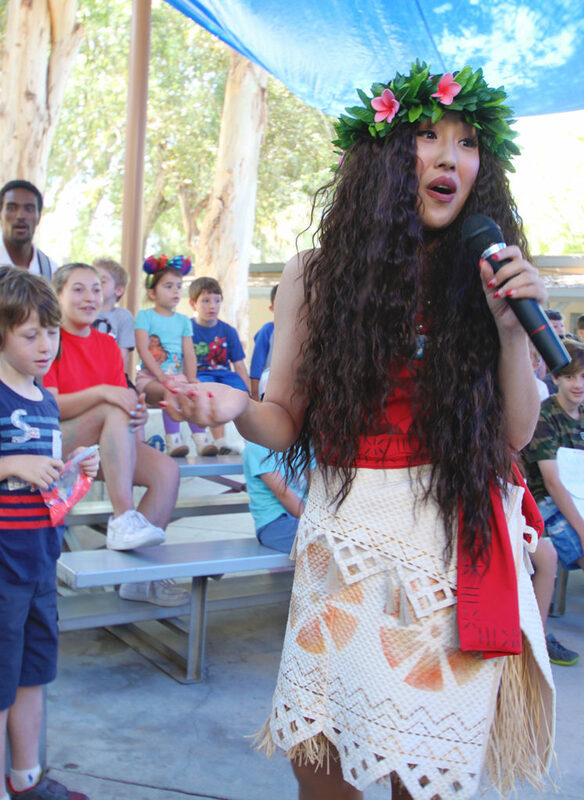 Through this experience, I’ve gained so much knowledge about who I am as a performer. I can happily admit I’m no longer nervous in front of large (or small) crowds of people. With this show came new friendships, adventures, and a kind of *bizarre* new connection: Princessing. I remember seeing the audition email for CW and thinking: “I’ve never even done theatre…why would someone want me? Am I good enough? Maybe I shouldn’t go.” Self doubt is the devil, people. I can’t imagine my life without having done this tour. During our first table read of Charlotte’s Web, I was introduced to the lovely Miss Ashley Larson, who played an impressive amount of roles in our production of the show (Narrator, the Gander, a reporter, Uncle the pig and the President of the fair). When it was her turn to share to us all an interesting fact about herself: She runs her own children’s character party company. How cool is that?! I was certainly intrigued. So, I emailed her a week later and we started the process of enrollment. Or should I say, Princessing 101. My audition was held in Ashley’s royal Van Nuys headquarters after rehearsal one day. After signing some documents and chatting about the industry (hint: it’s highly competitive) we went on to the real part of the audition: Singing and Improv. Nerves aside, I had my favorite Disney song prepared (Part of Your World by The Little Mermaid, duh) and sang a little diddle. Okay, that’s done. Now for….pretending like I’m performing in front of invisible children as Anna? Arriving through the doors of a stranger’s house? To “The First Time in Forever” in which I do not know the words to and have only watched Frozen once? …This is not my territory. 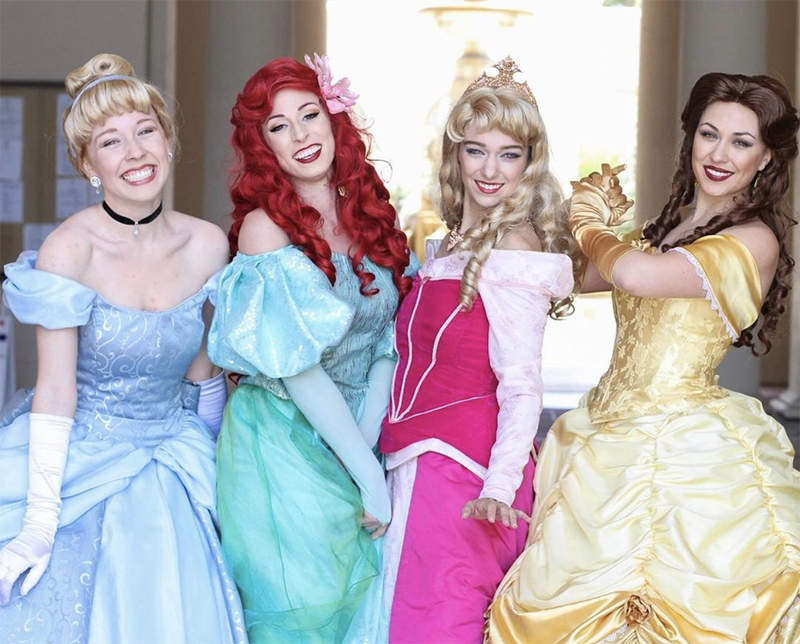 Each Princess has their own mannerisms, postures, poses, tone of voice, catch-phrases, songs you must learn, reactions to things, special powers and even dance moves you have to be on-point with at all times. It’s all about stepping out of your comfort zone and into the aristocracy life as a royal. It’s not for shy types, that’s for sure. Much like every other ’90s kid, I grew up with Disney. I was also *very* shy as a little girl. So, for a quite relevant example, when it was my turn at Disneyland to meet a character I was in line to meet, my cheeks would turn pink and I would clam up and get all weird and do that fake smile where you never really show your teeth and are secretly nervous as hell. But throughout the years and now, more than ever, I actually love performing in front of people. It makes me feel alive. LOVE, PIXIE DUST, AND A WHOLE LOTTA BOBBY PINS AND TRAFFIC. Boy-howdy does princessing really polish you as a person. You got yer graveyard of hair pins, contour kit, a meadow of sparkley eyeshadow pallets, a nation of foundation, enough lipsticks to paint a double rainbow and most importantly: a lot of vitamin b12 (for natural food to energy conversion!) Having a lot of energy is key when performing. You always want to be the leader and life of the party, since you’re being paid hourly (and hopefully working for that tip). If you watch RuPaul’s Drag race, this can roughly paint a picture for you on what it’s like to get ready as a princess. The process has really helped me become a better makeup artist, which is cool. I only buy the products that are beneficial to my skin, like Tarte and Pacifica, so that my pores don’t hate me at the end of the day (ahem, MAC). Every costume is provided by Ashley’s company, Crystal Castle Entertainment. 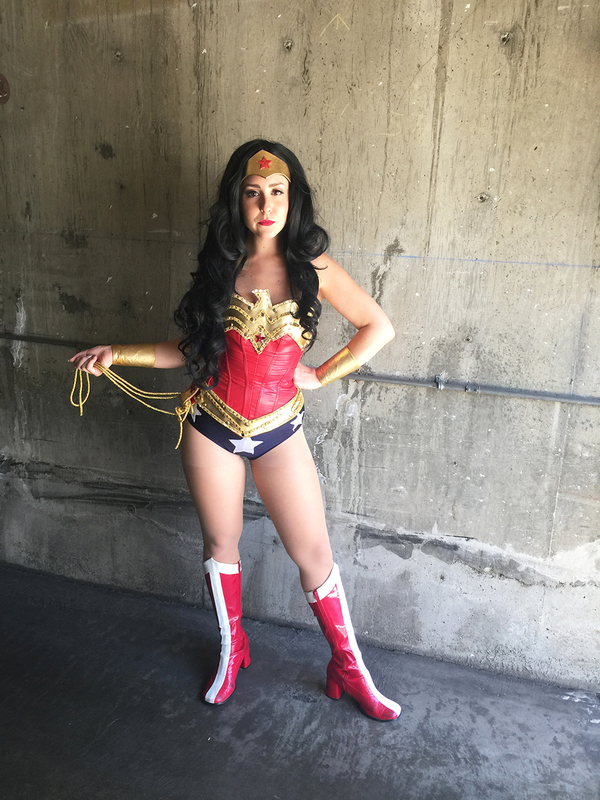 I do my own makeup, wear my own tights, character shoes and wig caps. 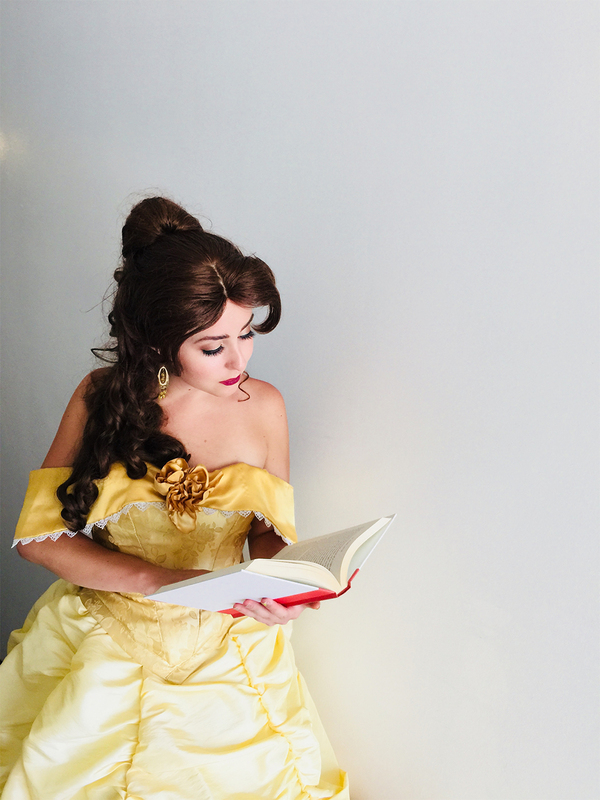 Let me just say, I had no idea how to tie a corset until this year – and still can’t. My darling boyfriend/assistant Mickey does the dirty work. I’ll learn one day…but until then, thanks babe! Driving to parties in Los Angeles is the most challenging part. Some of the challenges range from fitting your giant hoopskirt into the driver’s seat, zipping through traffic like the big scenes in Mad Max, parking far enough away from the party location so a child doesn’t see you pull up in your dusty Prius, etc. Regardless, I always like to arrive 20 minutes early to gather myself, ready the “magic music box” (a bluetooth speaker for party tunes) and assemble the bags of activities before I walk up so I don’t get anxiety, or are late. The activities for the parties are requested through booking. The most popular one? Facepainting. Which I must say is my favorite part, too! Once you enter, you’ll greet the birthday girl/boy, pose for photos (since you’re still fresh-faced) and then begin on your requested activities. 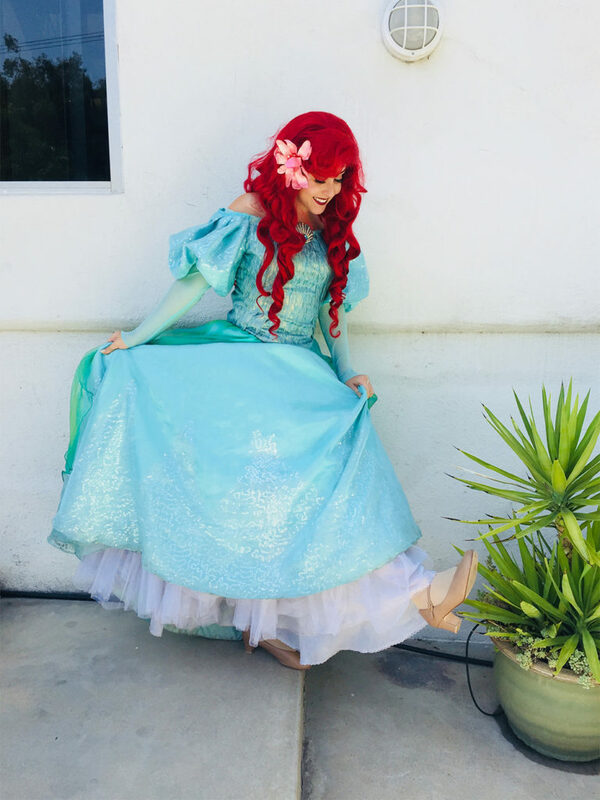 There’s games that all typically involve a rainbow parachute (kids go berzerk for the parachute games), sometimes a tea party, super-hero training, royalty training, balloon sculpting, singing and dancing, and a “royal coronation ceremony” which is me presenting a tiara to them and BOOM – end of party. 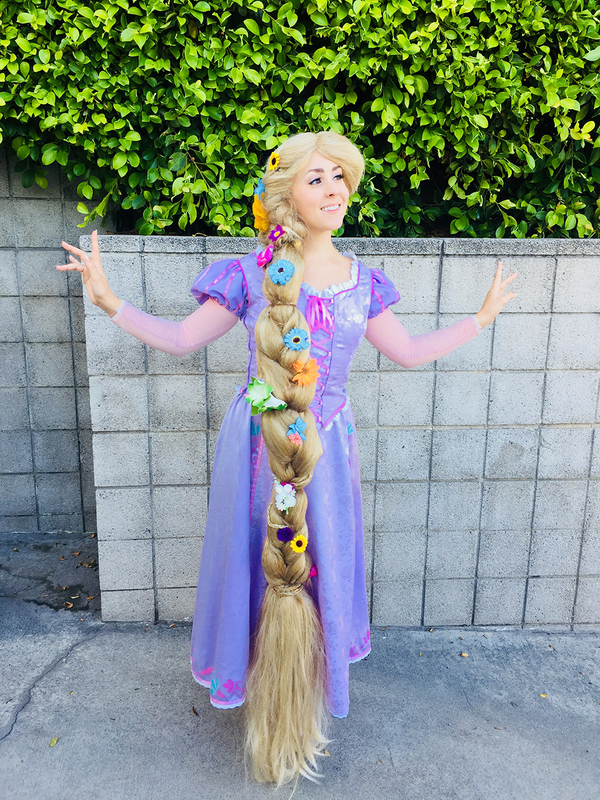 We kindly ask the parents to walk us out (still in character here), pay their remaining balance (if any) and presto: that’s what I do as a party princess in LA. Children are oftentimes your best friends at these parties. They have waited ALL year to celebrate the most special day with you, so being a part of something special like that really feels more rewarding than the money that comes with it (and tips!). But, that’s not to say there aren’t some little stinkers out there who, once you show up, they want no part of your presence. I’ve had a little girl who said maybe 10 words to me the whole party, and I’ve had the opposite – where this little girl’s day was such PURE magic and bliss that the parents asked me to stay a bit longer, and that they’ve never seen her so lit up in their 6 years with her as parents. …I’m not crying YOU’RE CRYING. YOU REALLY DO HEAR THE DARNDEST THINGS. And so on and so forth. The list is ever growing and honestly, it’s the funnest part of my job. Seeing kids faces when you answer them correctly in alignment of their character knowledge, it’s truly heartwarming. (And often times hilarious). The most interesting part of this unique opportunity is walking up and into the parties when they’re at personal residences. I’ve been to big homes in Calabasas, where they share the same air as the Kardashians, and to places in more impecunious areas of Southern California. The most extravagant party I’ve done so far was for a little girl who had 3 princesses ordered for her at one party for 3 hours, and it ain’t cheap. 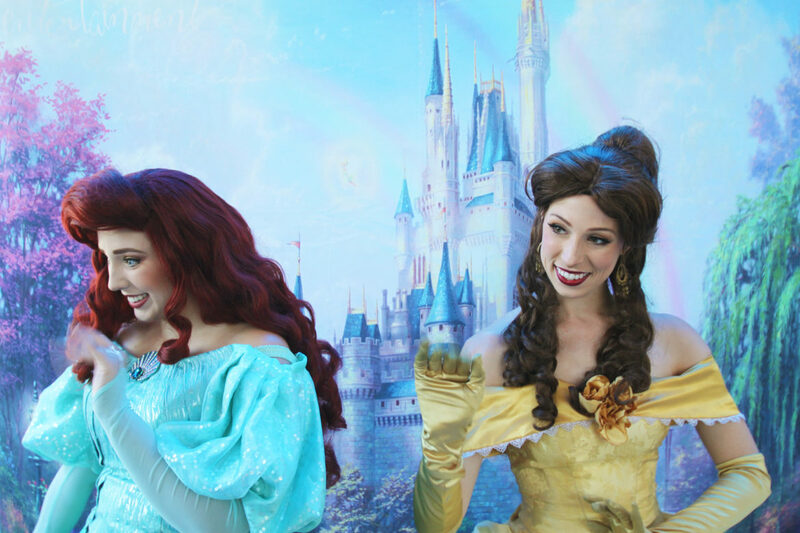 Sometimes you get parties where the birthday girl (or boy) has most likely either never been to Disneyland, or maybe has never had a real party before; so, that’s why we bring the magic to them. Even if the tips are sometimes petty, it really doesn’t matter. Seeing the smiles on everyone’s faces is worth every bit, and having the joy of spreading love and positivity is priceless. For more information on Crystal Castle Entertainment, you can find it here. To follow on social media, her instagram is @crystalcastleentertainment.